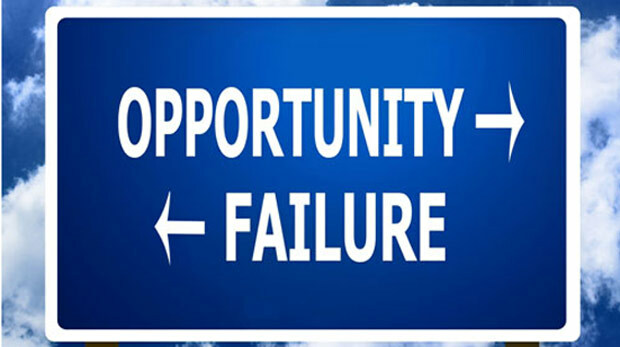 Encountering failure as an entrepreneur is normal and is to be expected. To some extent, failure is sometimes worn as a badge of honor. Jay Adelson, the co-founder of Digg, said, ““If you haven’t failed 5X as many times as you succeeded you’re not prepared for success.” Statements like that reinforce the belief that failure is an essential ingredient of startup success. The same enthusiasm that entrepreneurs have when talking about failure is not as present when they need to accept personal responsibility for failure. Without genuine accountability, the true value of failure is lost. To avoid repeating the same mistakes in the future, you must hold yourself accountable and face up to the true causes of the failure. If you attribute the failure to something or someone else, history is likely to repeat itself. This denial of responsibility usually happens because of Cognitive Dissonance. Cognitive Dissonance is a protection mechanism that we use to justify our actions or behavior. This occurs because our mind tries to ensure that our actions are consistent with our beliefs, attitudes, and expectations of ourselves. In other words, our natural tendency is to perceive our actions and behaviors as being consistent with our self-image. When there is a gap between how we acted and how we perceive ourselves, the discomfort we experience causes us to reframe the event so that it is aligned with our self-image and self-expectations. This often makes us justify our mistakes, blame others, and deny responsibility. The natural tendency to avoid accepting responsibility can be easily avoided. The next time you encounter failure, simply start by focusing on what you could have done to avoid the situation. To experience the real benefits of failure, you must shift your focus from finding a scapegoat and acknowledge your responsibility and power to change events.